Our Education section is headed by Tom Toughill. Fancy taking some deep sky images? Or perhaps some lovely images of Jupiter, or the Moon? Well you can now do that from the comfort of your own computer. The Bradford Robotic Telescope allows registered users to request telescope time. Their images will then be emailed to them. Having read a recent article in a local magazine regarding Dark Matter and Dark Energy I was surprised to read that Dark Matter produces Dark Energy. These articles describe both Dark Matter and Dark Energy and go on to show how the are fundamentally two very different objects. You can now build your own SOHO spacecraft using this guide from NASA. Confused about the different types of telescopes around. This excellent guide by David Fuller of Eyes on the Skies is a great introduction to the three main classes of telescopes, and is the first of a series dedicated to telescopes. 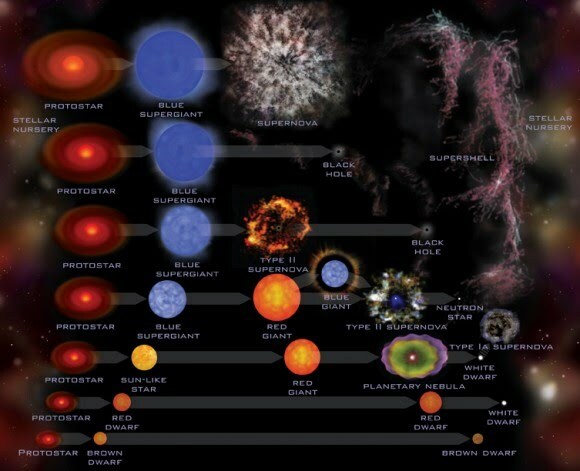 And an excellent introduction to the Life Cycle of Stars by Fraser Cain over at Universe Today. Thinking of studying astronomy or astrophysics at university? Astronomy Now has produced a list of universities that run various space realted courses. Their guide can be found here.